Ticket sales open for the #APEX2016 events! The Association for Communication and Advertising (ACA) has announced that ticket sales are open for the 2016 APEX awards events taking place on Thursday, 7 July 2016 in the Ivory Auditorium at The Forum on The Campus in Bryanston - Johannesburg. Get ready to be inspired by the best brains in the business. This year the APEX awards are upping the effectiveness stakes by doing things a little differently. Two events. One day. 7 July 2016. The Association for Communication and Advertising (ACA), in conjunction with its very own Birthplace of Brilliant, the AAA School of Advertising (AAA), welcomes the entry of 159 new graduates to the profession. Taking over from Nkwenkwe Nkomo is Marella O’Reilly who has been a member of the aaa Board for a number of years. The ACA is the official, representative body for the Communications and Advertising profession in South Africa, representing agencies in the profession (who at present contribute approximately 95% of South Africa’s measured ad spend) to government, media and the public. The ACA is a voluntary body formed by and for the industry, focused on and committed to self-regulation and to defending the highest standards of ethical practice. It is just a few days since Minister of Finance, Mr Pravin Gordhan delivered his annual budget speech and whilst the South African economy is currently experiencing challenges, there is some good news. South Africa’s recognised industry body for the advertising and communications sector, the ACA (Association for Communications and Advertising South Africa) launched an online tool that will change the way marketers search for agencies, saving them time and money in the process. The aaa in Johannesburg is still open for registration for its degree programs and invites those who dream of a career in marketing, advertising and communications to register until 15 February 2016. The Association for Communication and Advertising (ACA) announced today that the 2016 APEX awards season is officially open. The ACA is the official, representative body for the Communications and Advertising profession in South Africa that hosts the annual APEX awards. Dr Krishna Govender has been appointed the new Director of Academia at the AAA School of Advertising. Regarding the matter of the AdReview awards, which has received a lot of press over the past week, a joint ACA/AdReview statement has been issued (see attached). The ACA congratulates the AAA School on retaining the impressive achievement of being the institution with the highest number of finalists at the annual Loerie awards. 2015 APEX awards results celebrate effectiveness in advertising! On the 20th July at a prestigious white tie gala event held at the Sandton Convention Centre, the Association for Communication and Advertising (ACA) hosted the 2015 APEX awards gala dinner. Much was celebrated including the 20th anniversary of the awards. On Thursday 9th July 2015, The Association for Communication and Advertising (ACA) held its 68th Annual General Meeting when the following captains of industry were elected to the Board of Directors for 2015/2016. The Association for Communication and Advertising (ACA) announced the retirement of industry stalwart, author and respected academic Dr. Ludi Koekemoer – Principal and MD of the ACA’s AAA School of Advertising - effective from the 31st August 2015. 2015 APEX gala event tickets are almost sold out! The Association for Communication and Advertising (ACA) has announced that tickets are on sale for the 2015 APEX awards gala event that is taking place on 20 July 2015 at the Sandton Convention Centre. The 2015 APEX awards Jury is hard at work to find the best of breed in the business of advertising and communications! The ACA is pleased to announce a collaboration between the APEX and Loerie awards. With effect from 2015, ACA member agencies will be invited to enter their winning work from Loeries into the annual APEX Awards. The results of the 2014 edition of Loeries undeniably reaffirms the positioning of the AAA School of Advertisings as ‘The Birthplace of Brilliant. AAA logo Alumni of the School have won 11 of the 14 Loeries Young Creative Awards handed out in previous years. No wonder the AAA School claims that it is the birthplace of brilliant. In response to the many people who want to know more about the industry and want to be part of it, the Association for Communication and Advertising of South Africa, in association with the AAA School of Advertising, has developed a website called www.whyadvertising.co.za. 2014 APEX awards a resounding success! On the 10th June at a prestigious white tie gala event held at the Sandton Convention Centre, the Association for Communication and Advertising (ACA) hosted the 2014 APEX awards. And what an event it was! 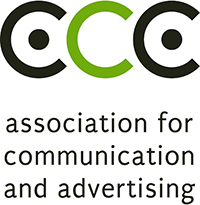 On Tuesday 3rd June 2014, The Association for Communication and Advertising (ACA) held its 67th Annual General Meeting at the AAA School of Advertising campus in Johannesburg. The Association for Communication and Advertising (ACA) today announced that ticket sales are now open for the 2014 APEX awards gala event taking place on Tuesday, 10 June 2014 at the Sandton Convention Centre. 2014 APEX Awards – Deadline Extensions Granted! The Early Bird deadline for entry into the 2014 APEX awards has come and gone but ACA member agencies and their clients can still enter to showcase the achievement of the performance of their communications campaigns as deadline extensions have been granted. Entrepreneurs, brands and the advertising and communications sector are well poised to benefit from this micro-economic benefit. This is a very pertinent area for those in the business of advertising and communications as it presents an opportunity to leverage this windfall. 2014 APEX awards — the jury is out! The APEX awards goes beyond celebrating communications campaigns that deliver results, it celebrates the ability of the profession to deliver results and drive business success.